When the first pseudo-announcements began to circulate concerning Predators going into pre-production there was a degree of consternation among fans of the existing Predator films. Part of this was simple incredulity that anyone should wish to invest in the project, considering the dubious quality of a script that had been in open circulation for almost fifteen years. On more objective grounds, the greatest field of speculation involved the ambiguous, somewhat conflicting statements being made in regard to the nature of the project as a whole, and its intended relationship with the existing films. The problem, it seemed, stemmed from the possible range of interpretation denoted through the repetitive use of a single term, and that term was 'reboot'. Was the 1987 classic going to be pressed into the increasingly populous ranks of films slated for a remake? Was it going to retell the story of an elite military rescue team in the jungles of Central America with an extraterrestrial hunter on their tail, or would it follow some new premise, intended to override or somehow erase the existing films? Was it simply going be a new, disconnected episode in an ongoing series, as the second film had been to the first? Subsequent comments would resolve the matter somewhat by including the term 'sequel', among other nebulous qualifications, but this still raises the question of what, if anything, the term 'reboot' actually denotes. As with any new medium, the evolution of film and filming techniques during the past century gave rise to a new technical jargon, a large part of which has also migrated into popular usage. In some instances, existing terms have accrued alternate or additional connotations to what they signified prior to the invention of cinema, some examples being 'cut', 'frame', and indeed 'film' itself. Others, like 'slow-motion', 'close-up', and 'freeze-frame', are almost entirely owing to a common familiarity with the technique of film-making. The advent of the DVD format in the past two decades, or perhaps merely coinciding with its introduction, has been the subject of yet another proliferation in film-centric jargon. This time, however, the impetus has largely been driven by marketing concerns. Some of the more prominent examples are terms such as 'director's cut', 'special edition', 'original vision', and 'definitive version', whose actual meaning is difficult to define, owing to a culture of liberal interpretation or outright misuse. Even amidst such a pervasive glossary of dubious provenance, the term 'reboot' somehow seems more vacuous and prone to confuse. In this instance, the burden does not seem to rest on the usual field of post-production marketing, however, for I've yet to encounter the term emblazoned in bold type on a DVD case. 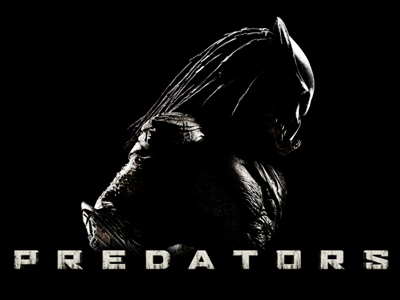 Indeed, as the Predators example readily attests, use of the term appears to be restricted primarily to the relatively brief period between first announcement and the beginning of actual pre-production, and therefore most likely to spring from the mouths of over-enthusiastic producers and other studio representatives, or else the media outlets reporting on these early scoops. And while identifying the source of this recent phenomenon is a valuable point, it still brings us no closer to understanding what the term actually denotes. By far the greatest impediment in this pursuit is that there simply doesn't appear to be any consensus, and certainly nothing in the way of consistent application. Aside from the technical definition, the first time I encountered the term 'reboot' was in reference to Batman Begins. 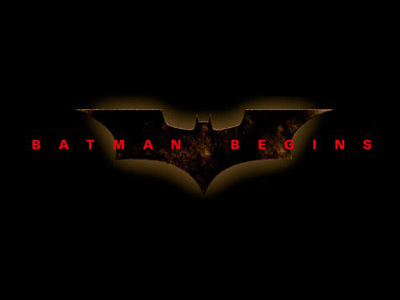 In this particular context the insinuation was more or less understood to convey the fact that this instalment was not a sequel or in any way related to the series of four films that began with Batman in 1989 and culminated with Batman & Robin. As such, the provenance of the term presumes some link with its use in the field of computing and electronics, where a 'reboot' is understood to be a means of returning a system or device to a default state, removing any undesirable deviations that may have taken place during its operation. Even at this point the analogy is less than satisfying, while in the wake of Batman Begins and The Dark Knight the situation has continued to deteriorate. What degree of difference, for instance, delineates a reboot from a remake? If a break in narrative continuity is the determining factor, couldn't the 1989 version of Batman be considered a reboot of the earlier production starring Adam West? Is it enough to call something a reboot simply because it reinvigorates a franchise that has long lain dormant? Would that make the recent Battlestar Galactica series a reboot, despite the fact that it maintains a tenuous continuity with the original series? Is it actually possible for a reboot to function as a sequel or prequel as well, and what would that make Caprica? Surely the only justification for a new term entering the lexicon is that it can impart a clear and concise understanding of a concept that current jargon cannot adequately convey. Any addition that is not a step toward efficiency, either in terms of the concept or its communication, is necessarily a step toward redundancy, at best, if not outright confusion. The very fact that we need to ask these questions suggests that the term 'reboot' utterly fails to satisfy these criteria. Unless industry or the media are prepared to assert a unanimous definition, therefore, there is little ground on which anyone can defend its continued use. If there are adequate terms to describe the different scenarios outlined above, they should be used; if not, then clearly there is a deficiency in the lexicon, which can only be addressed with concise and meaningful candidates. As it stands, the term 'reboot' is patently inadequate for the task. Collider: You started with Predator and I really dug the reboot you did with Robert Rodriguez. How successful was that for the studio in terms of maybe making another one? Davis: You know, those Predator movies... Tom Rothman said this to me, “Man, they all seem to make money.” I get a big check every year on my net points off of the original Predator. You know how hard it is to get net points on a studio movie, right? It was hugely profitable. It far exceeded its revenue on DVD than in theaters by three or four times. Collider: You’re talking about the original, right? Davis: Yes. I talked to Arnold about rebooting Predator and doing something in terms of that. I think in terms of right now, it needs to rest for a couple of years. I can’t see why if we can’t be clever we can’t reinvent it again. Collider: I actually really dug it. I thought Rodriguez did a great job with it. Davis: Yeah. It was really fun. Collider: It was really good. That’s why as a fan I’d love to see another one. Davis: Yeah. He changed the setting. He put it on another planet. You have to keep changing the setting. You have to find a clever way to do it. If we were going to do it with Arnold; it was like, “Does it make sense to go back and to put him with a young team?” So maybe it’s 20 years later, you have retired, and you are the one person who has survived one of these encounters. Is that a reboot in the fact that you are in it with a group of young guys? Is that a reboot? You just have to figure out a way to reboot it. Rodriguez rebooted it. It’s all in the planet. The sequel to the first one rebooted it. We should’ve had Arnold in the movie. The deal broke down over $250,000, which is a shame. But it was moved from the jungle to the city. You have to create a freshness about it. When we did Alien vs. Predator we kind of rebooted it because we put the two pieces together. You just have to give it enough time to come up with a new freshness. So there you have it: a media representative and an over-enthusiastic producer throwing the term 'reboot' around with such abandon that it's clear that neither has a firm idea of what they, let alone the other means by it. And apparently every iteration in the Predator series has been a reboot, so it isn't even correct to think of it as a series, but rather an ongoing process of reiteration. Once again, I renew my call for this term to be struck from the lexicon.